Most wounds of the foot and ankle will heal from the bottom-up. However, there are times when surgical closure of the wound is necessary. The experts at The Amputation Prevention Center at Capital Foot and Ankle are skilled at several surgical closure options. Sometimes, your doctor can simply stitch the wound back together. Other times, more advanced surgical techniques are required. Below are a couple of examples of the procedures commonly performed by our surgeons. 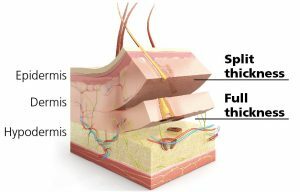 Split thickness skin grafting is a technique that has been around for a long time… because it works! With a skin graft, the surgeon will take a partial thickness piece of skin (usually from the thigh) and transplant it to the wound bed. This procedure is done in the operating room. There will be a new wound on the thigh that will need to heal. 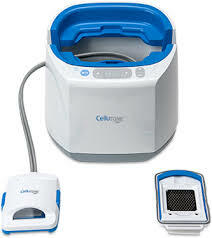 If successful, the skin graft will take and can lead to wound healing in as little as two weeks. 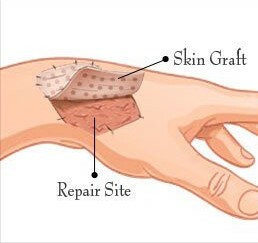 Epidermal transplant grafting is a relatively new technology. 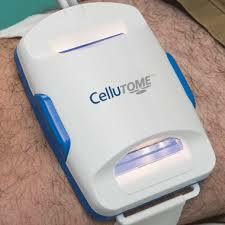 While not as effective as a split thickness skin graft, there are several advantages. First, it is done in the clinic without anesthesia. 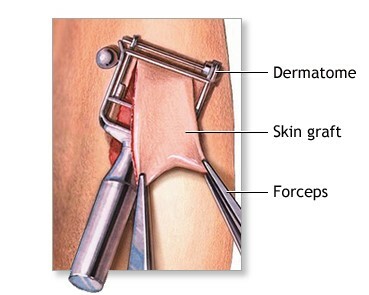 Second, the graft is only taken from the epidermal layer (see below) so there is no new wound created. A heat lamp is placed on the thigh to create numerous small blisters. The roof of the blisters are harvested and transferred to the open wound. Both areas are covered with a light dressing. The dressing will not be removed for the first week. If successful, the wound will heal in 2-3 weeks.